This entry was posted in Art, Christianity, Community, discernment, fear, God's will, Gratitude, hope, Integrating Spirituality, Jesus, leadership, Life As Prayer, ministry, Mysticism, Photography, Practicing the presence of God, Spiritual growth, Story as Life, stress, Theology, Walking with God, worldviews, Worship and tagged analogies, battle abbey, Battle of Hastings, castles, door metaphor, doors as symbols, doorway, England, english gardens, entryway, European fortifications, fort, fortresses, gatehouse, Holy Spirit, hope, kingdom, open doors, open house, Photography, Prayer, prayer house, Spiritual growth, story, story of me, story of you, Sussex, symbols, the practice of the presence of God, Theology, Walking with God, welcome mat, worldview, Worship. Bookmark the permalink. I love the picture–and the metaphor . . . I wonder. 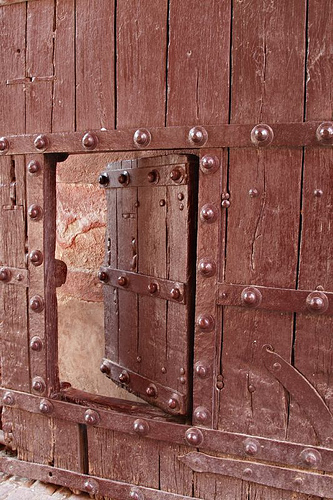 Are the varied understandings of the Christian faith (denominations, theological traditions, spiritual traditions, whatever) “little doors” in the “big door” that is Jesus (who said, “I am the door of the sheep”)? We can “get in” through any/many of them . . .